The International Civil Aviation Organization, or ICAO, was established by the Chicago Convention in 1944. As a United Nations specialized agency, ICAO establishes international standards for civil aviation. Of the 195 recognized countries in the world today, 192 are ICAO member states. These 192 'contracting states' abide by the Chicago Convention regulations. 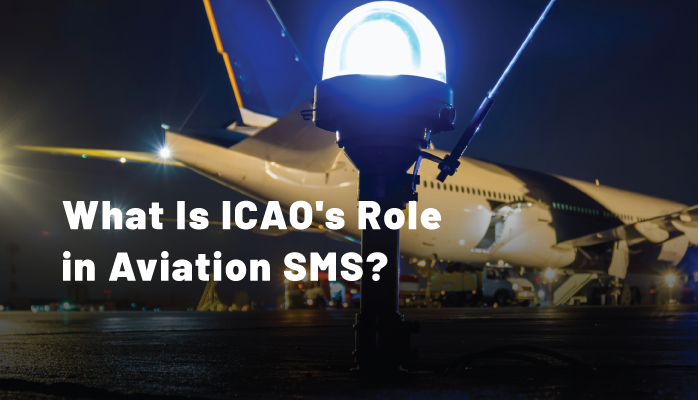 By working with member states and industry groups, ICAO defines aviation Standards and Recommended Practices, also known as SARPs. These SARPs ensure that civil aviation operations around the world comply to same norms. Standardization in turn allows civil aviation to function across international borders safely and reliably. Standards and recommended practices are distinct from one another. Standards are necessary for member states to adopt. Standards provide assurance that there is standardization within the system. All contracting states must conform to these standards or notify ICAO of non-compliance. Recommended practices, on the other hand, are desirable, but not necessary. States should attempt to implement these practices whenever possible, but compliance is not required. SARPs are the backbone of international aviation regulations. ICAO develops these SARPs in a structured process known as the "amendment process" or "standards making process". This process usually takes about two years. In 2010, ICAO's High-level Safety Conference recommended the development of an Annex dedicated to Safety Management. This new Annex would become Annex 19. The ICAO Council supported a two-phased approach. Phase 1 consolidated existing SARPs to form Annex 19. The second phase would develop new and enhanced safety management provisions. Phase 1 produced the first edition of Annex 19. This was a compilation of of existing safety management provisions from previous Annexes. Modifications were made for clarity and consistency, but there were a few new amendments. The four components of the State Safety Program (SSP) were elevated from Recommended Practices to Standards. The applicability of state safety oversight provisions were broadened to include all service providers. Finally, SMS was extended to apply to aircraft design and manufacturing. This first edition of Annex 19 became applicable in 2013. The second phase aimed to develop new and enhanced provisions for safety management. The result of this was Annex 19, Amendment 1 published as the second edition of Annex 19. The amendment had three primary goals: integration of state safety oversight with SSP provisions, enhancement of SMS provisions to support uniform implementation, and protection of safety data. Annex 19, Amendment 1 was published in 2016 and becomes applicable in 2019. Why Require Safety Management Systems? In an expanding industry, the prescriptive approach to safety became ever more difficult. The old ways of managing safety were no longer efficient or effective on their own. The management approach of SMS complements regulatory efforts. SMS provides a structure for proactive safety. It is a documented, process-based system. By requiring these programs, safety becomes everyone's responsibility. This is good for organizations and for regulators. When organizations take the lead in safety management, it becomes more efficient. Organizations addressing risk internally creates understanding of safety and more efficient operations. Related Articles on What is ICAO?